Bohemian Beauty meets English Rose! 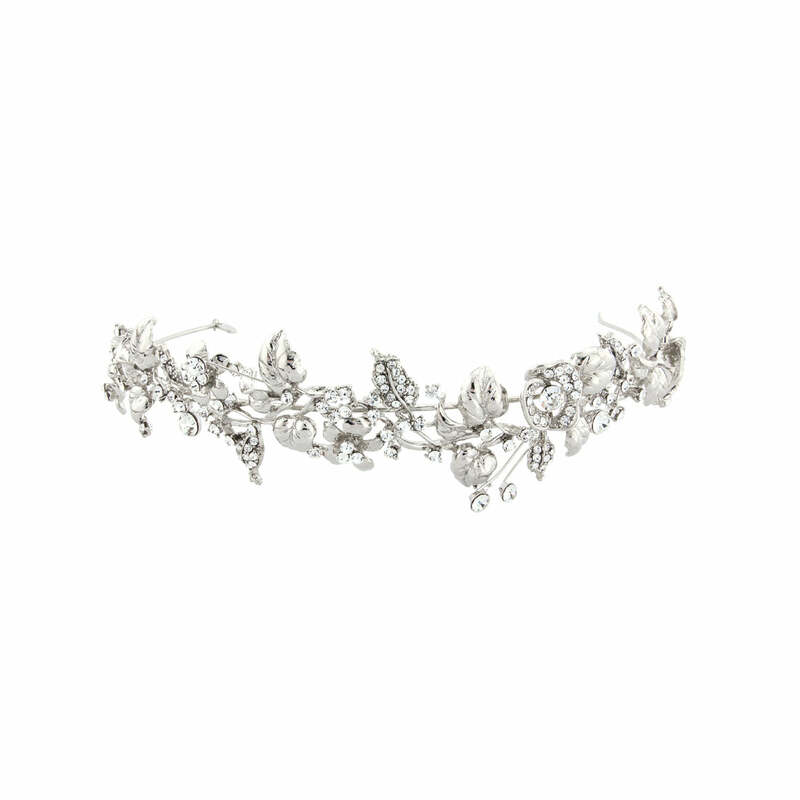 This enchanting silver leaf garland tiara is mesmerising. Classic, timeless and a combination of vintage-style elegance with modern-day charm, our Enchanting Garland Tiara is a breath-taking piece to be cherished for years to come. Featuring a silver tone floral display of stems, flowers and leaves encrusted with clear Austrian crystals, Enchanting Garland Tiara features end hoops to secure to the hair with kirby grips and can be worn with a number of hairstyles. A beautiful headpiece to complement both vintage-inspired wedding gowns and modern dresses. 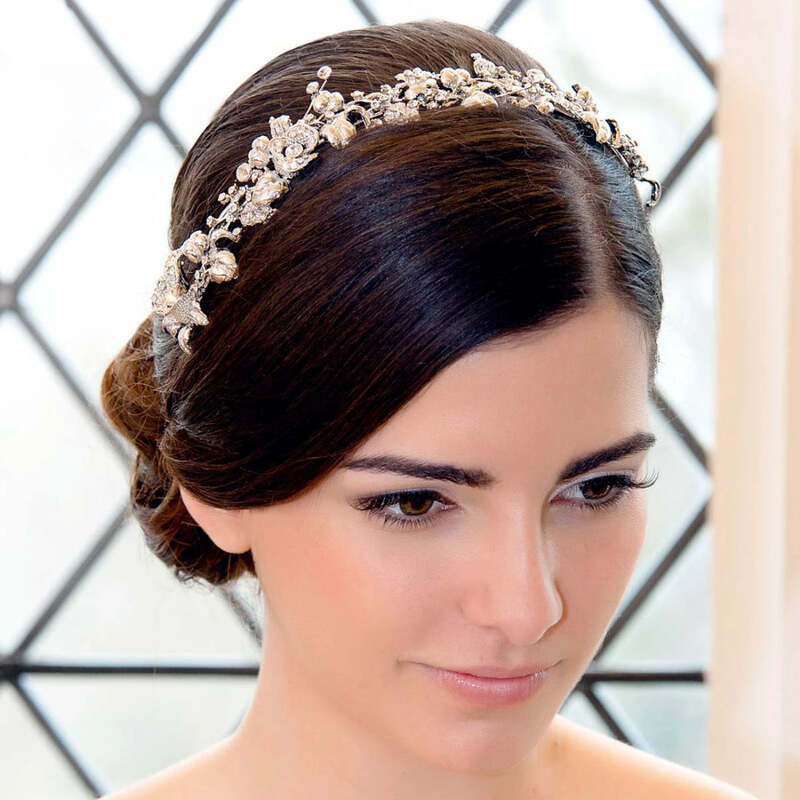 For the bride who loves leafy spray tiaras but is looking for a more delicate effect, this is the perfect piece to take your wedding day hairstyle from pretty to perfect. Really pretty and comfortable. Wore for my wedding this year - got lots of compliments. Very wide which is great for me as I have quite a big head! Does not pinch at all.